Penthouses are endlessly fascinating when they come up for sale, because they give a glimpse into the lifestyles of the wealthy who usually inhabit the sky-high homes. 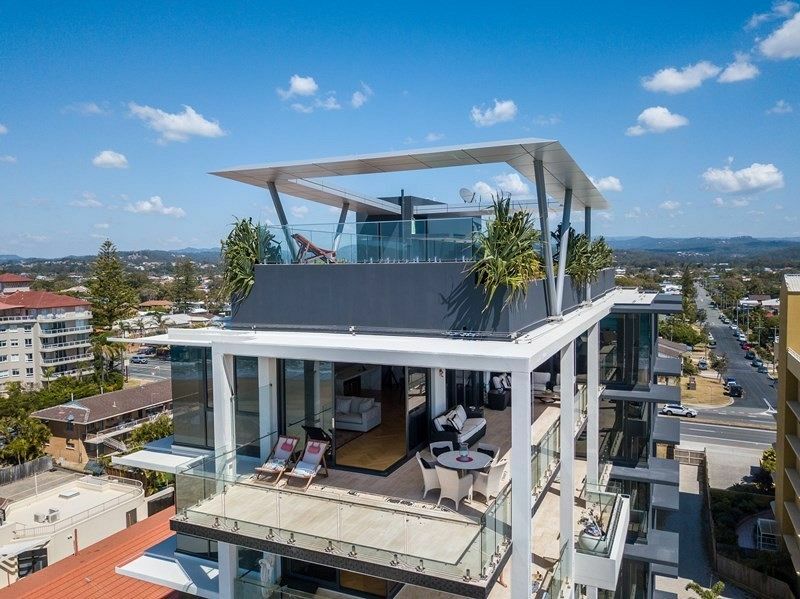 Several new and stylish sky-homes have come up for sale in Brisbane and the Gold Coast, and these are five of the best. They all offer something special, whether it be a great view, an award-winning architect, or even a marina berth. Since the Archer Street development was completed earlier this year, the penthouse apartment has been lived in by a family who realised they didn’t need all the space, so it’s been offered up for sale again. The home is unique in its position on the Brisbane river, just steps from the Toowong Village shopping centre. There’s no other view quite like it in Toowong, yet. “One of the best features is the view. You can’t beat it,” selling agent Emil Juresic said. “There are a lot of penthouses in the city, but they look out of it instead of into it.” The void in the living area was another top feature for Mr Juresic. “The apartment itself is two storeys and it’s got a New York feel to it because of a huge void to it,” he said. This penthouse is described as “industrial-chic” and offers breathtaking style, usually reserved for unattached houses, but way up in the air. Award-winning architect Justin O’Neill designed the sky-home, and his touch is evident throughout. My favourite feature are the glass-finished polished concrete floors. Many of the finishes are important too, including Spanish stone basins and Japanese wall tiles. On the other side of town is this 503 square metre West End apartment, with a sprawling six-bedroom floorplan. This unit has a similar feel to the New Farm penthouse, but with more space and less concrete. It’s listed for sale by negotiation, but you can be certain the price will be eye watering. Mr McKenzie-McHarg said the view of Palm Beach was incredible. Last but not least is a penthouse apartment featuring oceans views and, of course, a marina berth. So if you were tossing up between finding a penthouse apartment or a home with a spot to park your catamaran, you’re in luck. The unit block also features three pools, a tennis court, a spa, and sauna. What a life.